Reality TV show “Extreme Makeover: Home Edition” became a nationwide success when it transformed the home of a cancer stricken girl and her struggling family into a $1 million mansion. As the ABC show aired its final episode this week, it emerged that the 2005 extreme makeover of the rented ranch in Arizona which came with a full-size carousal, had proved to be too extreme for the Okvath family. 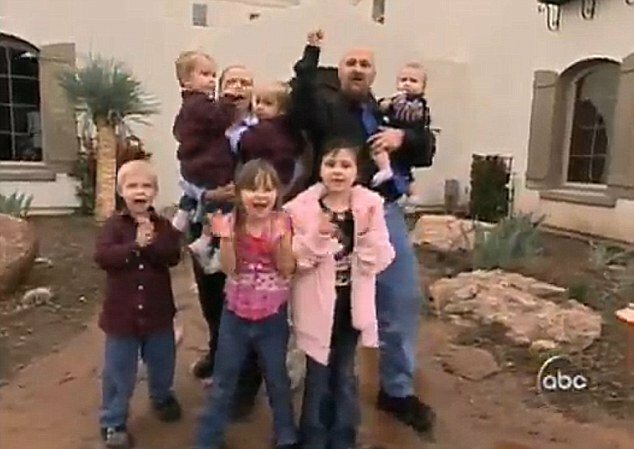 Crippled by debts and rocketing utility bills which came with their “dream home” Bryan and Nichol Okvath, who have seven children, were forced to sell their one-time $1million mansion at a loss at $540,000. The episode began in 2004, when the couple’s daughter Kassandra Okvath, then aged eight, was undergoing treatment for cancer and wrote to the show, asking for her hospital cancer ward to be brightened up. So touched by the girl’s plea, in addition to renovating the cancer ward, the producers decided to tear down the 1,800-square-foot house the family were renting in Gilbert and replace it with a six-bedroom mansion with a movie theater and a backyard carousel. The property’s owner agreed to sign over full ownership of the house to the Okvaths, reports the Arizona Republic. The episode aired in March 2005, with the overwhelmed Okvath family breaking down in tears of joy, as nearly 4,000 people gathered outside the home to watch the grand unveiling. At the time, it seemed like the perfect fairytale ending. But the extreme home came with extreme bills; utility costs reached $1,200 for electricity and $400 for water; property taxes increased from $1,625 pre-makeover to $5,600, reports the Arizona Republic. Bryan Okvath, who was unemployed, occasionally worked as a truck driver and fire fighter, and Nichol was a stay at home mum, according to the report. 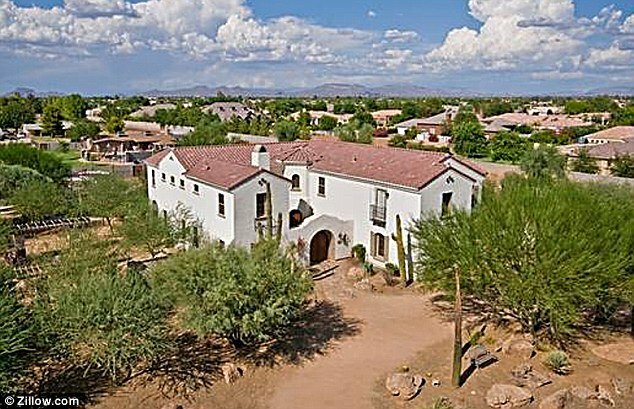 Struggling to cope, the Arizona Republic reports that the cash-strapped couple used the house as collateral for a $405,000 loan in 2006, but were not able to keep up with payments and the home was almost foreclosed. The family tried to sell the house several times – for $1.9 million in 2007, then for $1.4 million – but got no takers. The Okvaths narrowly avoided losing the home at a public auction in 2008, then put the house up for sale again. By 2009, the asking price had dropped to $800,000. Eventually in spring 2010, they sold it for $540,000. “It’s been frustrating,” Nichol Okvath had told the Arizona Republic in 2009. “A lot of people think we’re rich, but we have nothing,” she added. It has since been reported that Kassandra Okvath had made a good recovery, however her parents have separated. Efforts to reach the family have been unsuccessful.